There are many things that one must keep in strict check in making a stand or valid commentary on an issue — whether you are a journalist, politician, or ordinary individual. He or she needs to look at the issue from all angles and set aside all biases as much as possible. One must keep emotions in check. One needs to make the opinion in the proper context. And one needs to look at the big picture with regard to the issue at hand. 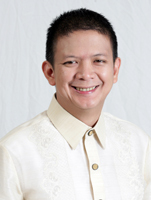 Senator Chiz Escudero raises valid points with regard to the President Arroyo’s travel expenses since 2001. After all, spending more than two billion pesos for travels from 2002 to 2007 is no joke. And it is quite tempting to emotionally react to the issue at face value when the senator mentions that this amount is higher than the budget of vital government agencies. But after a careful examination of his statement, one realizes that the senator — a presidentiable — fails to see the big picture of the situation. While Escudero makes a valid call for the “judicious use of the government’s dwindling resources”, one must ask if the travels were unnecessary. Should President Arroyo even travel? Well, the answer is obvious. Any president needs to go out of the country to attract investments. And this is what any president should do. Past presidents have done this. Aside from President Arroyo, FVR traveled extensively (and not surprisingly, he was also criticized). President Estrada, despite his shortlived term, traveled to attract investments. So did President Aquino. Escudero may have failed to see — or may have cast a blind eye — on the fact that any president travels to attract investments that attracts, yes, jobs, jobs, and more jobs. What is necessary now is for the Palace to make an accounting for its travels, just as Escudero has pointed out. I am not a defender of the Palace, and the bigwigs there can defend themselves. So yes, the Palace should answer the important questions. Two important questions to answer are: 1) How much was the return of investment in terms of actual investments? ; and 2) Did the two billion really all go to travel, or did some of it fall into the hands of corrupt groups or individuals? Still, what is important to remember is that any President needs to go out of the country once in a while to get investments. To be fair, of course the President will need to bring her staff and cabinet. Nevertheless, the public is not about to give a blind eye on seeing the First Family “touring” with the President, complete with the nannies of President Arroyo’s grandchildren. These are things that the presidentiable Chiz need to remember. Otherwise, any careless commentaries will only be dismissed by the discerning as trying to get pogi points from voters. It may also be a red flag that casts doubt on a politician’s ability to analyze vital issues — a skill needed to be an effective president. This entry was posted in Commentary, Special Posts by Ralph. Bookmark the permalink. But then, the President must show evidence that her trips are worth the taxpayers’ money. A cost-benefit analysis must be done if the amounts she earned from her travels (investments and the quality thereof) outweigh the amount used to defray the costs of her entourage. True, my point too. That is what’s needed exactly — a cost-benefit analysis to see exactly the return of investment to the country vis a vis the expenses — to see if the travels are worth the tax payers’ expenses. Also, more often than not, PGMA’s “pasalubong” from her foreign trips come in the form of pledges. I wonder how much of these are realized, considering that many of the pledges were made before the global economic crisis. Para sakin dapat bago magsagawa ng mga tavels to attract investor dapat pagandahin muna ang image/takbo ng government “MODERATE THE GREED” ika nga muna para di maging worthless ang mga travels para maniwala at maganyak ang more investors. -YAN dapat muna ang ginawa ni Gloria, PINALANTSA MUNA NYA ANG IMAGE OF THIS COUNTRY NA DATI NANG PANGIT BAGKUS PINALALA NYA PA HALOS.